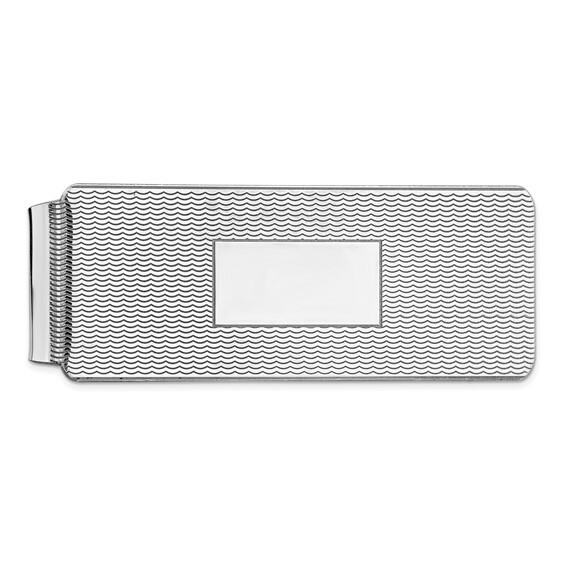 Sterling Silver money clip has a textured finish and smooth rectangle in center. Item measures 2 inches tall by 3/4 inch wide. Weight: 13.89 grams. Made in the USA.